For more biographical notes on Modigliani see part 1, and for earlier works, see parts 1 and 2 also. 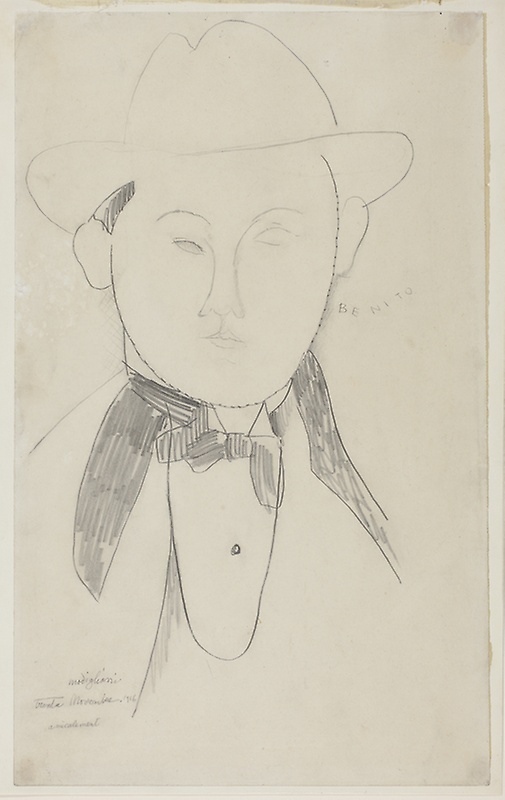 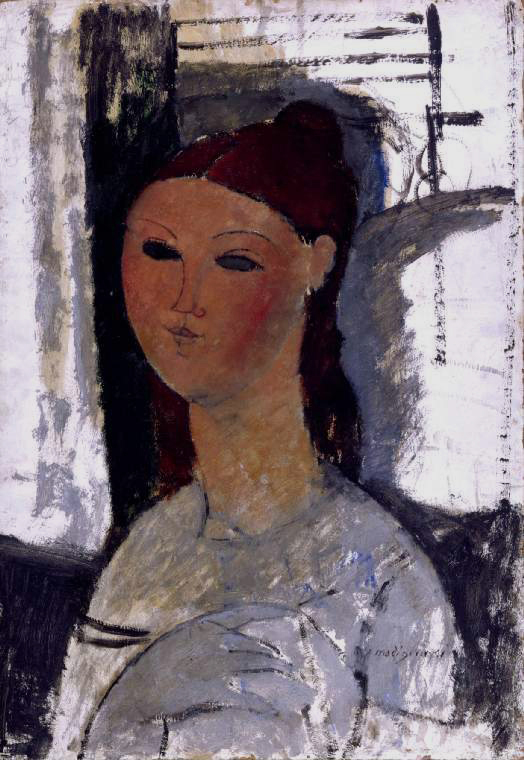 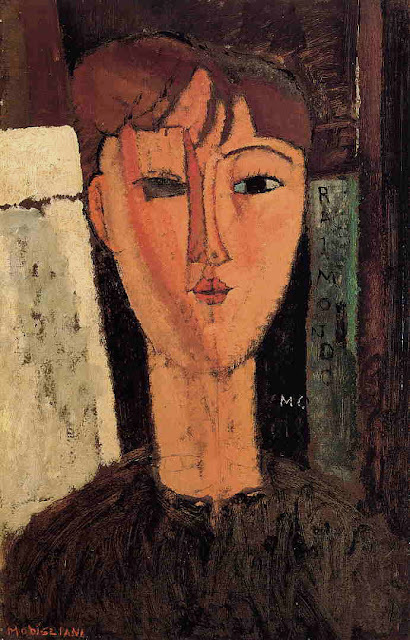 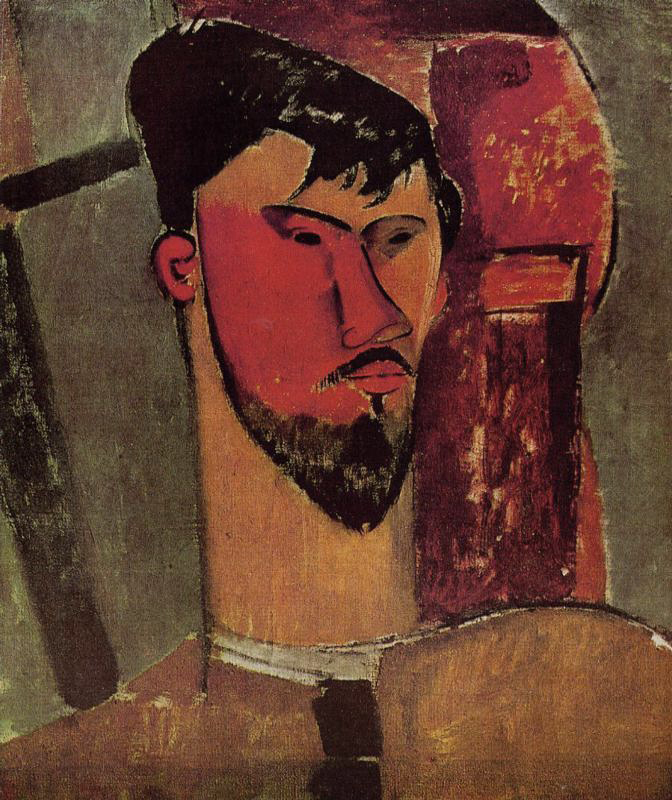 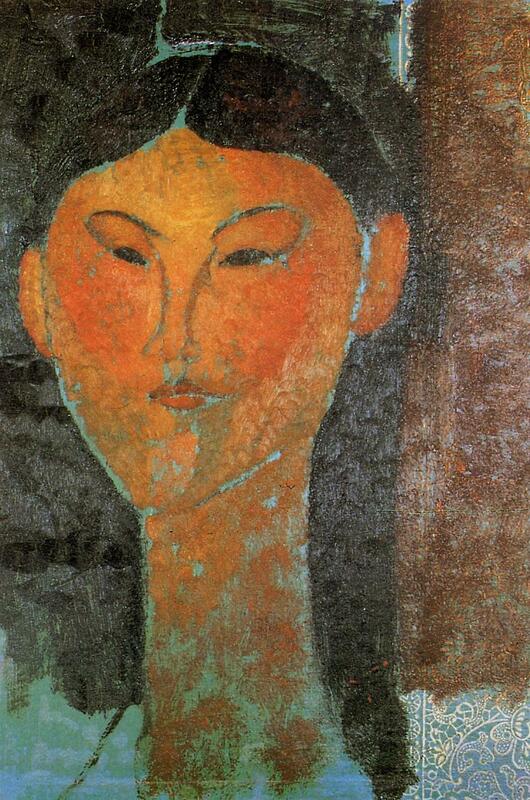 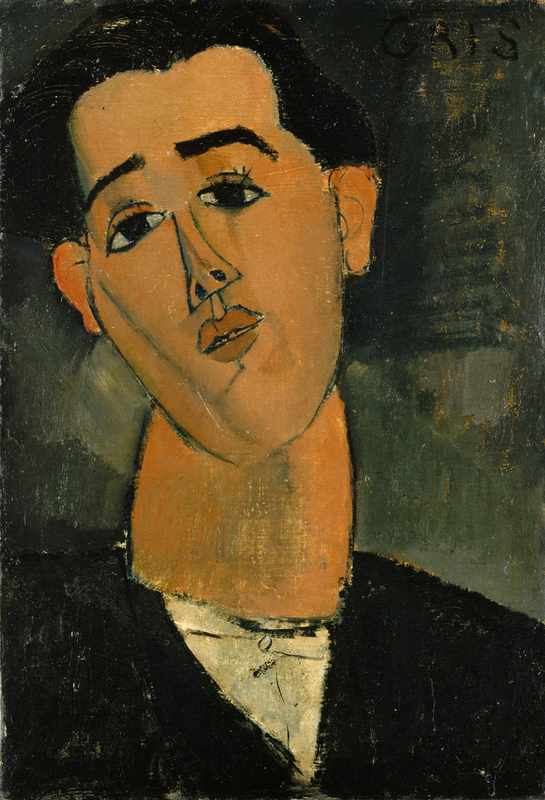 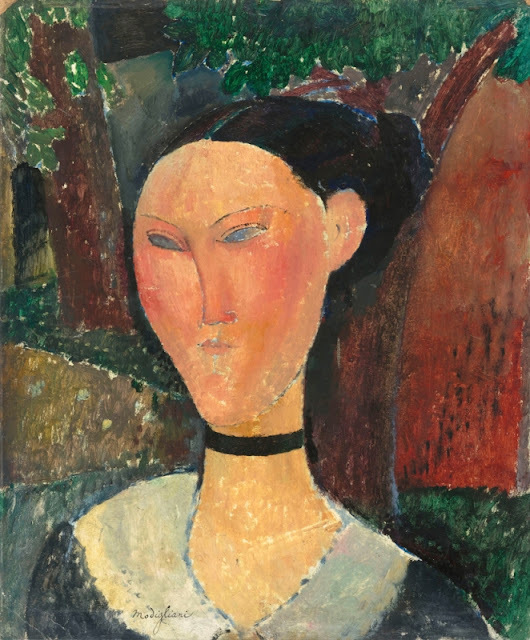 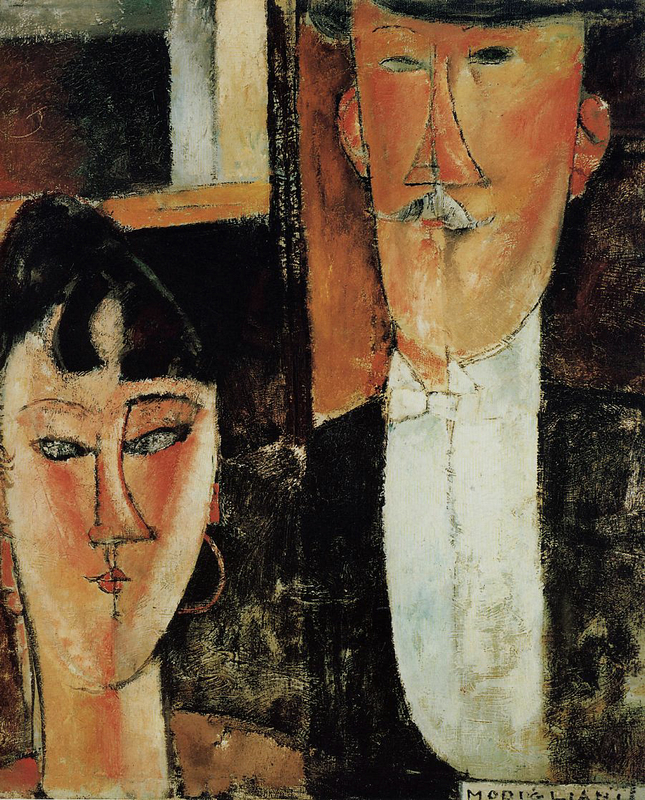 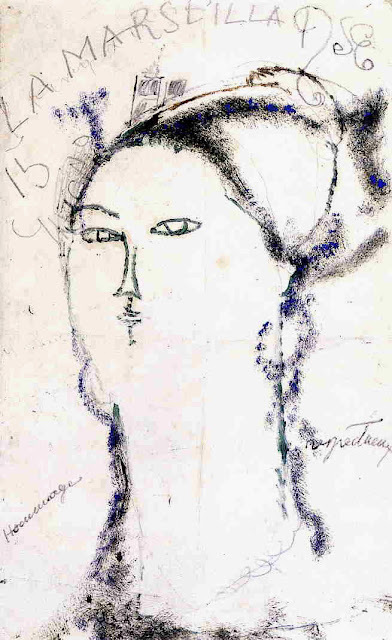 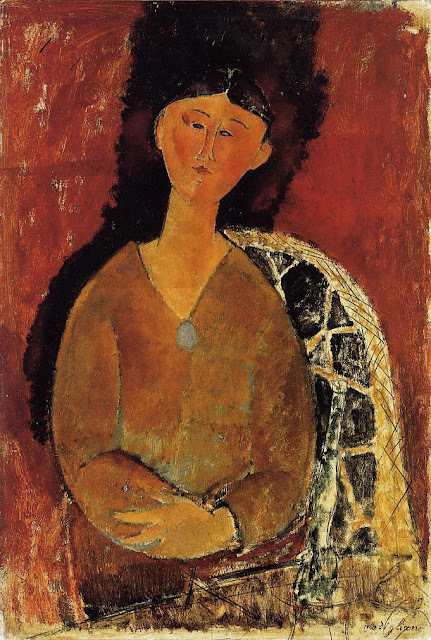 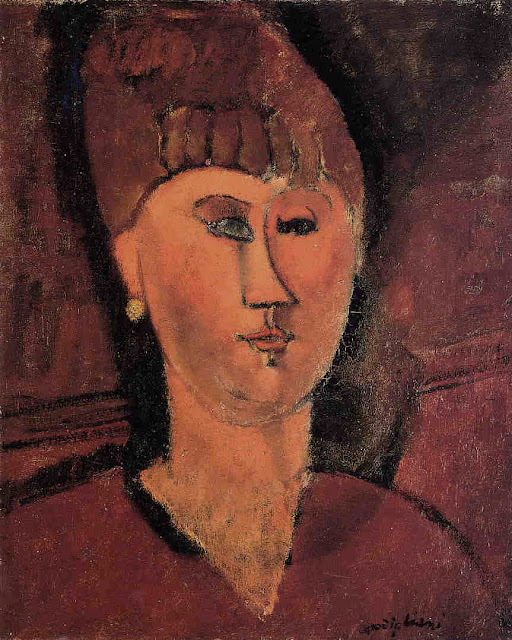 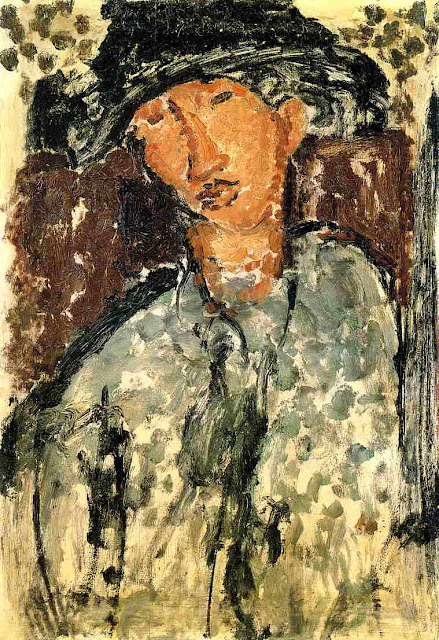 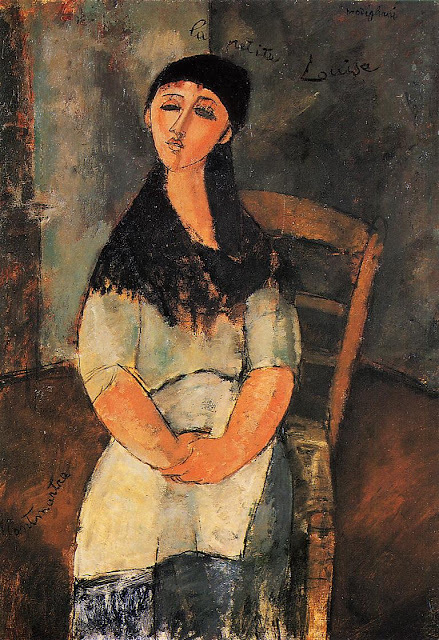 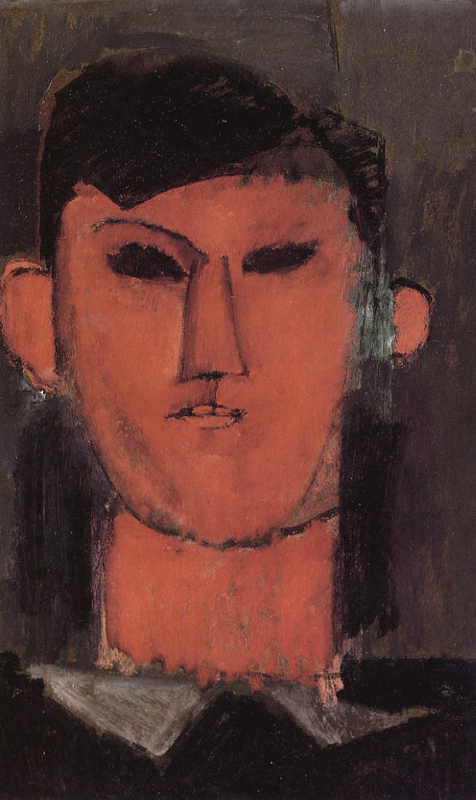 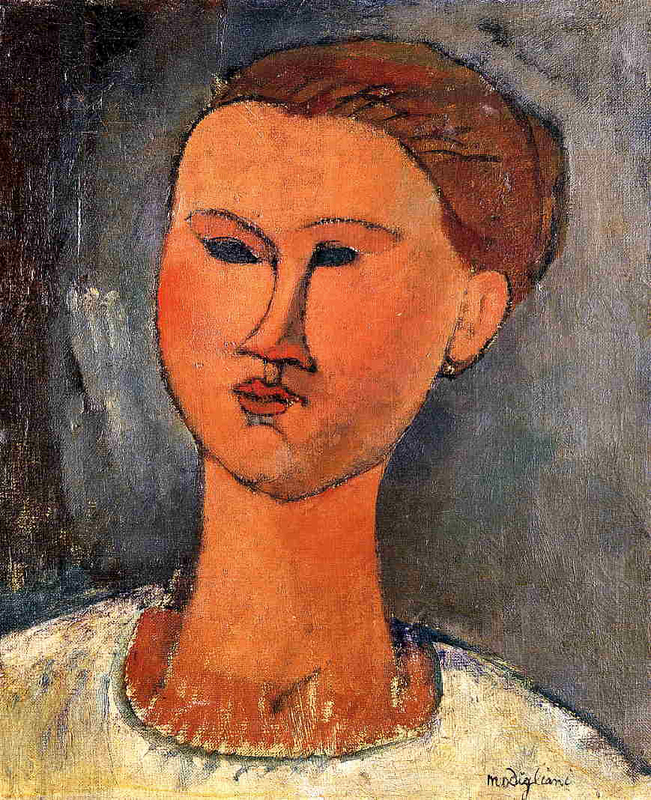 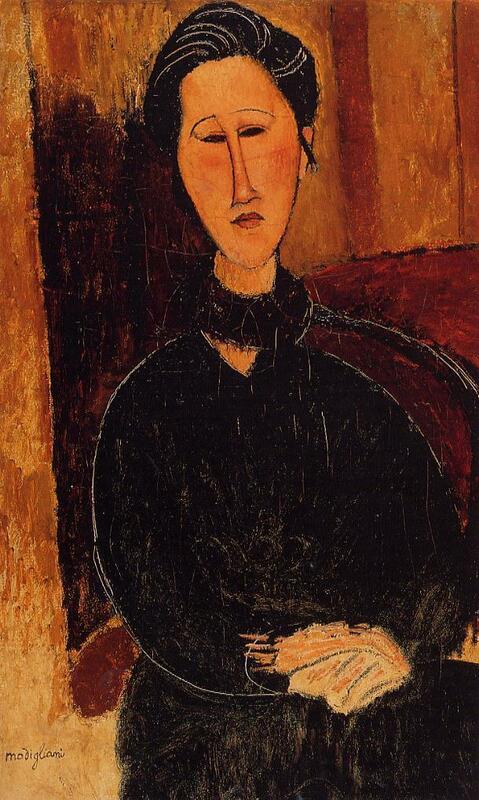 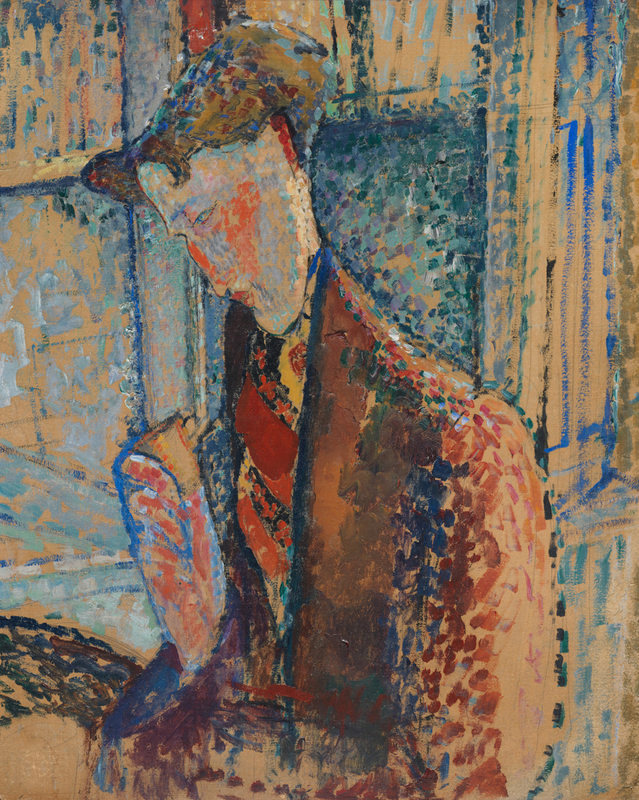 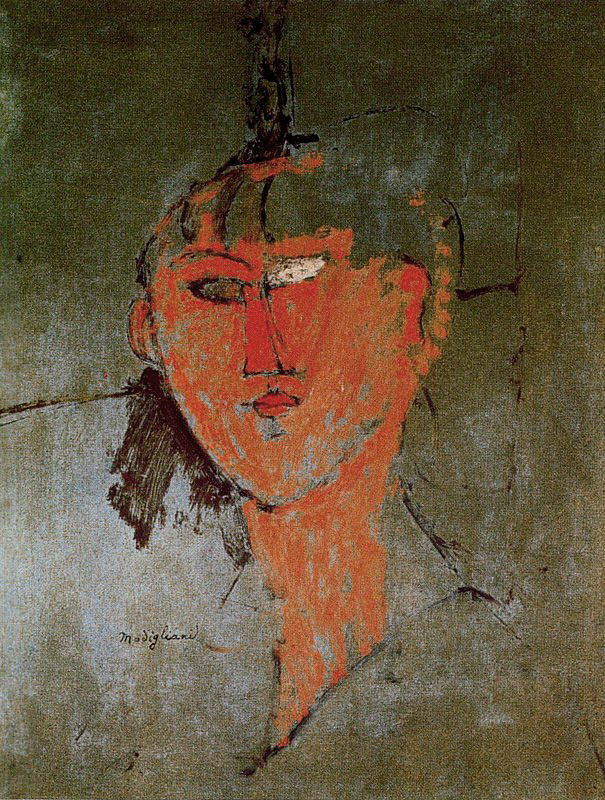 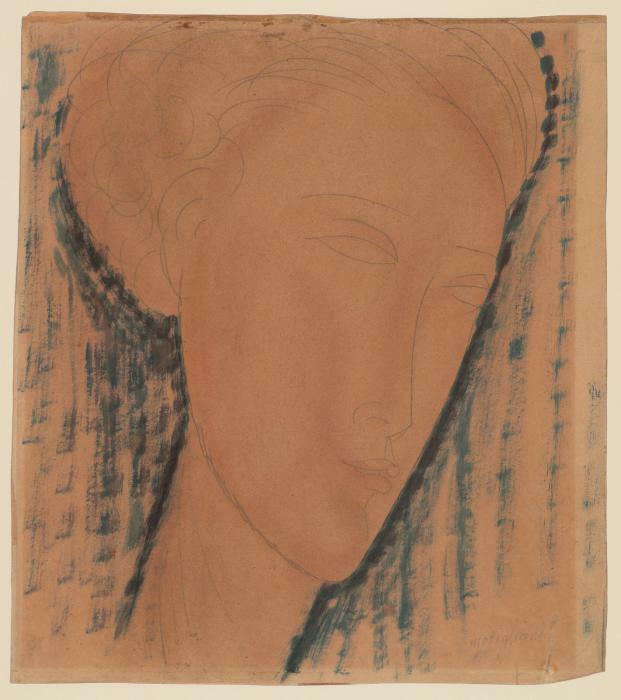 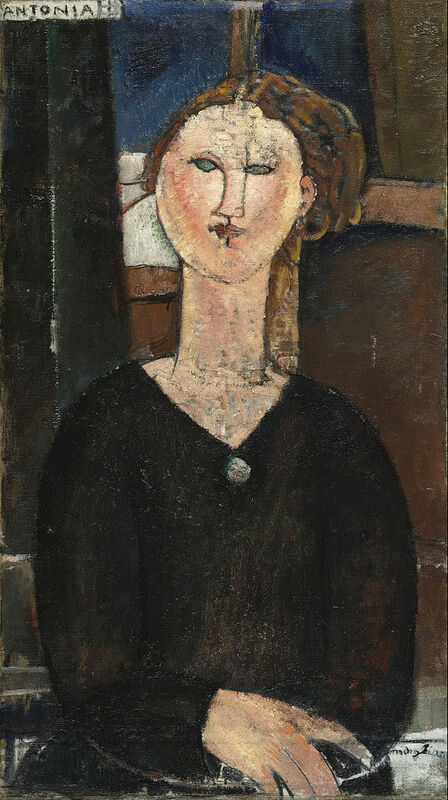 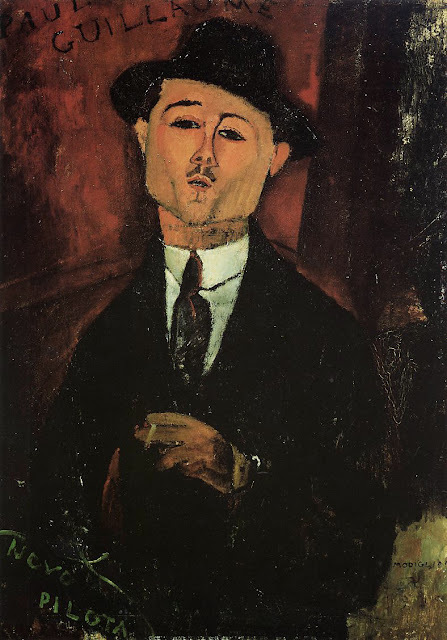 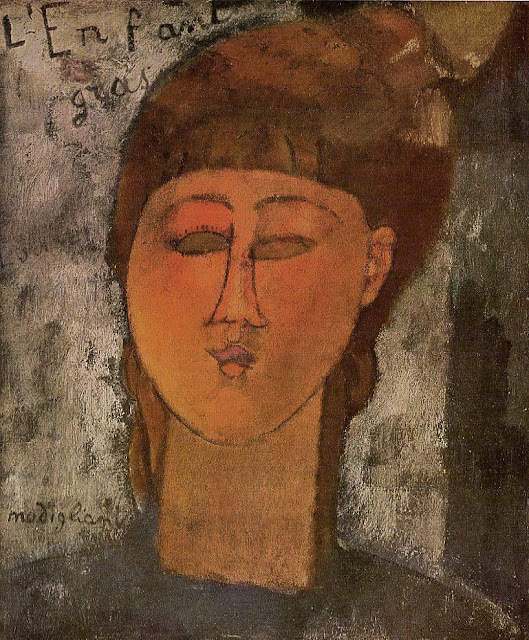 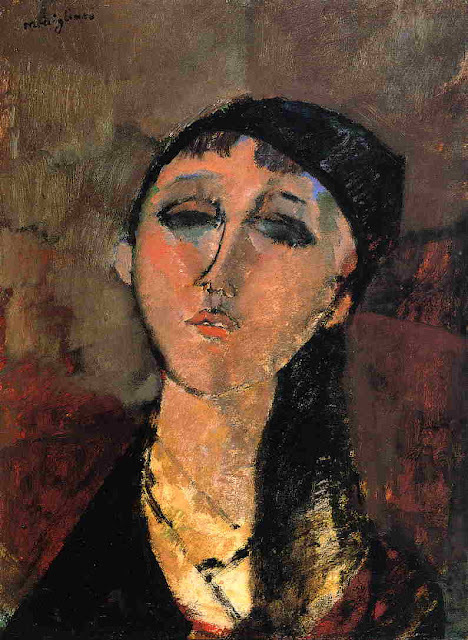 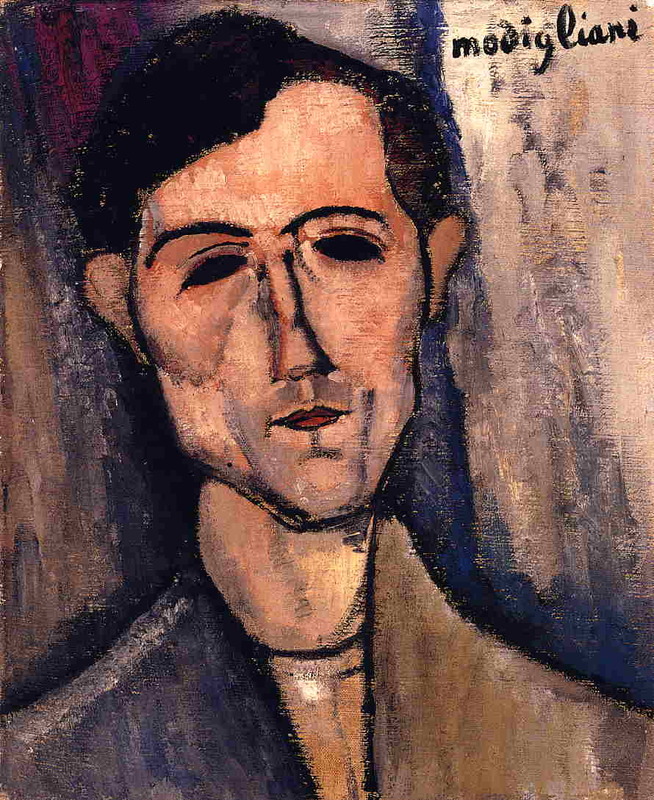 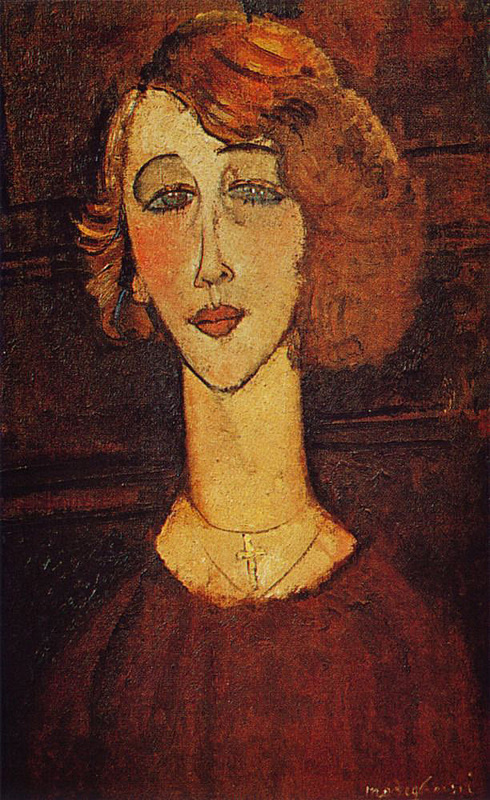 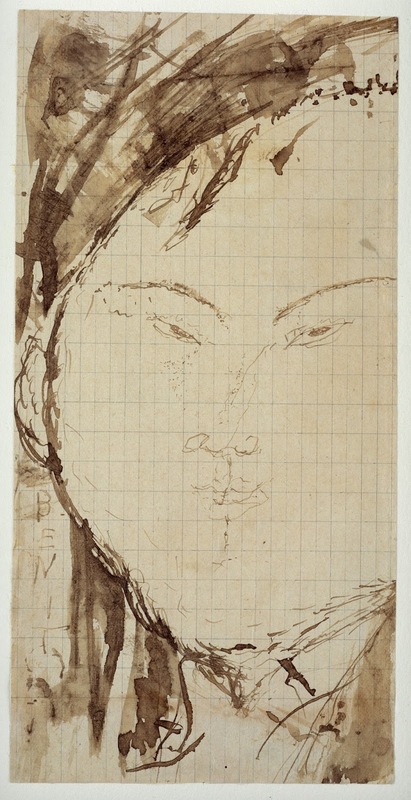 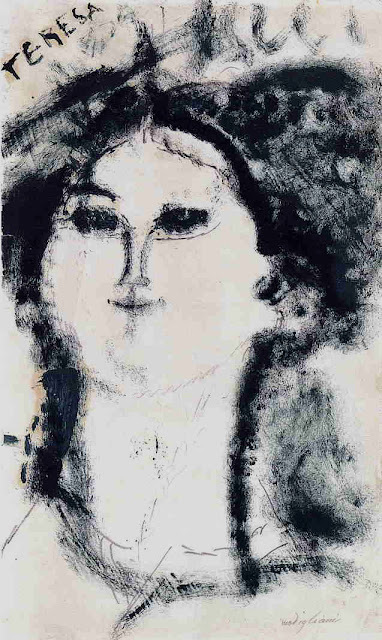 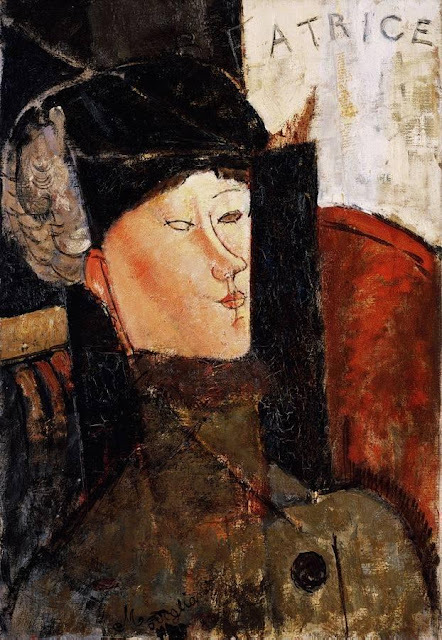 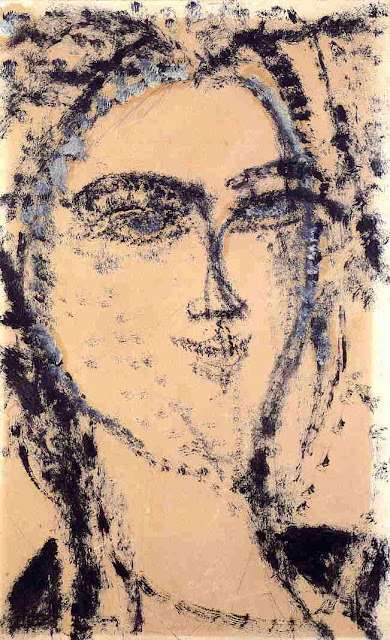 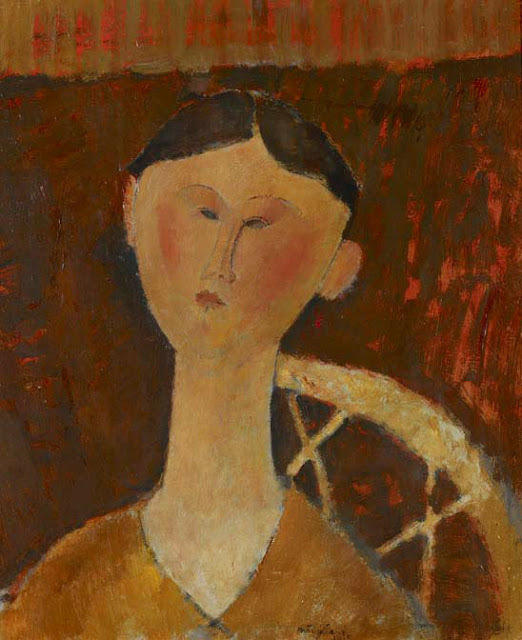 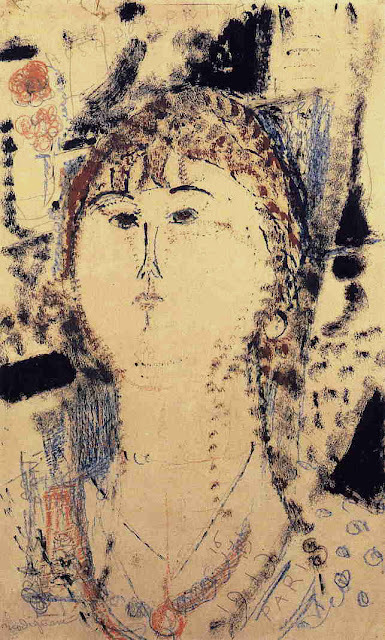 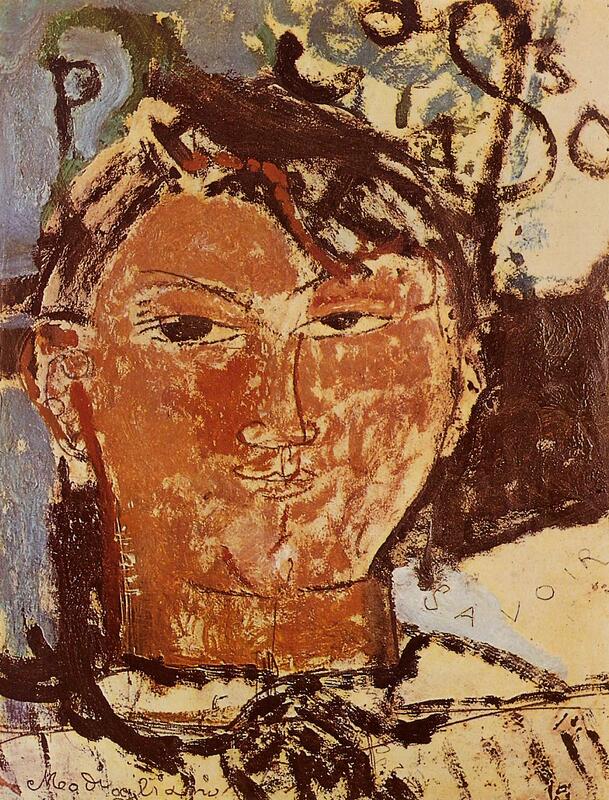 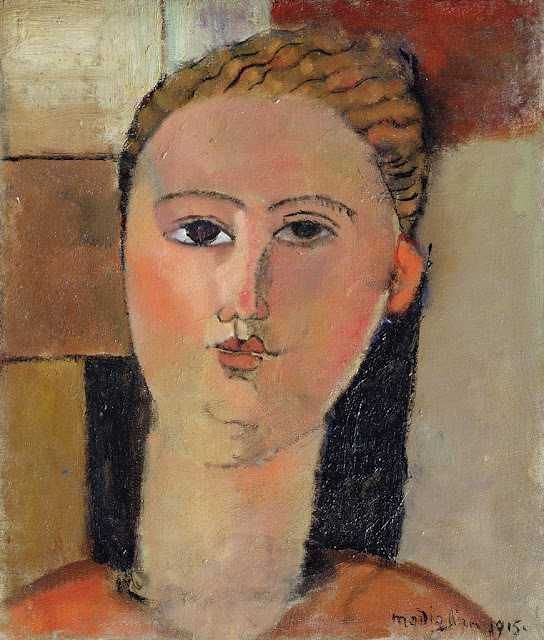 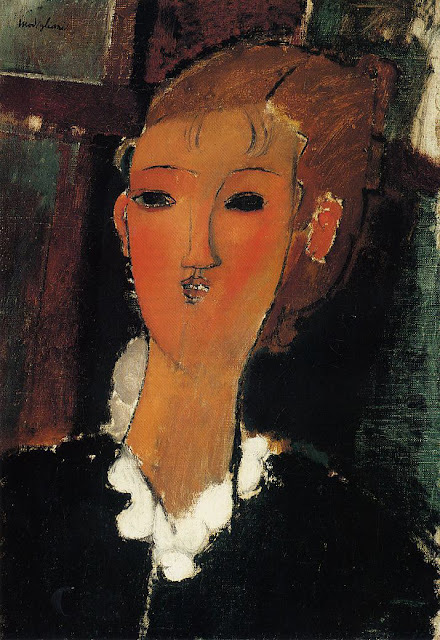 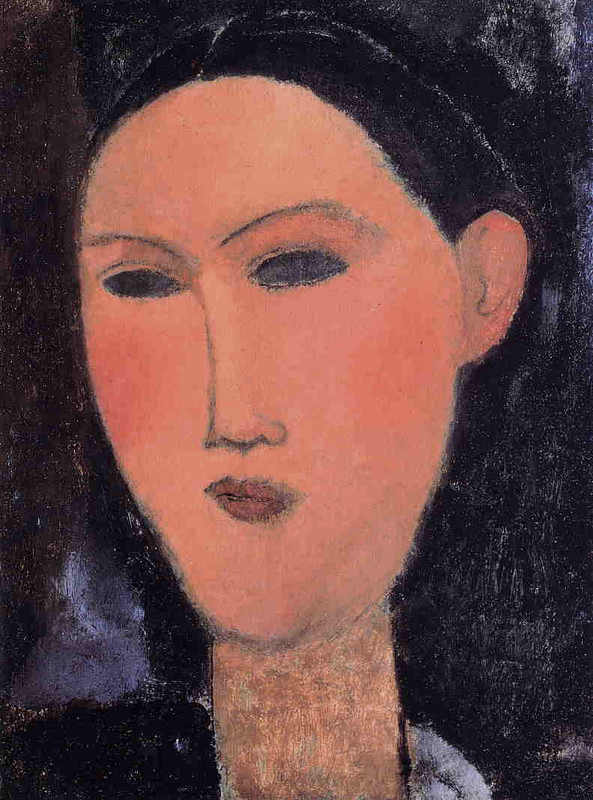 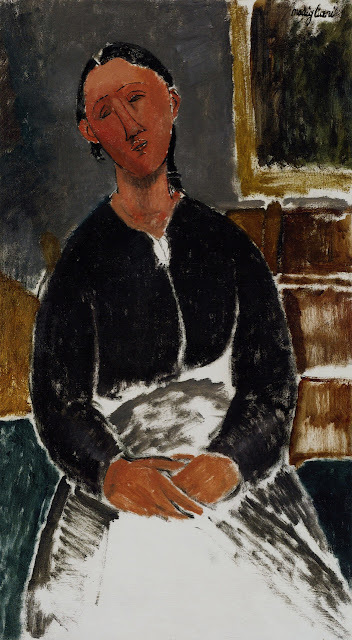 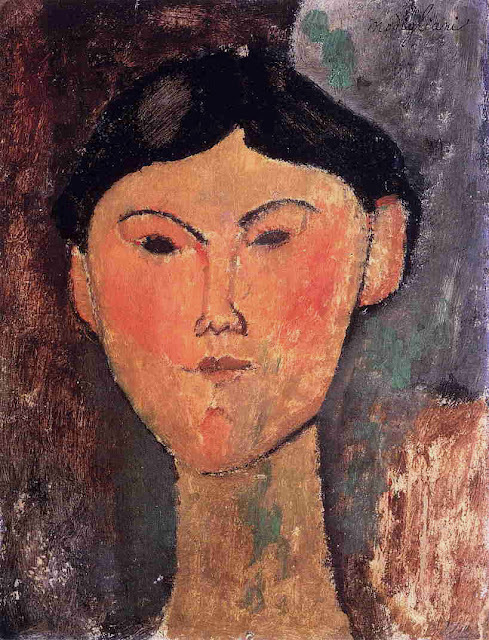 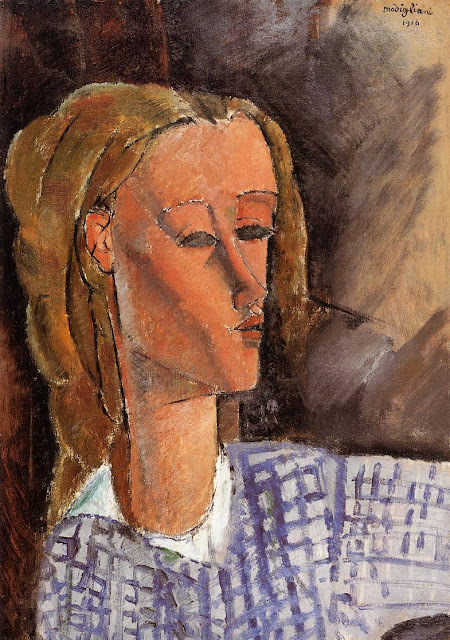 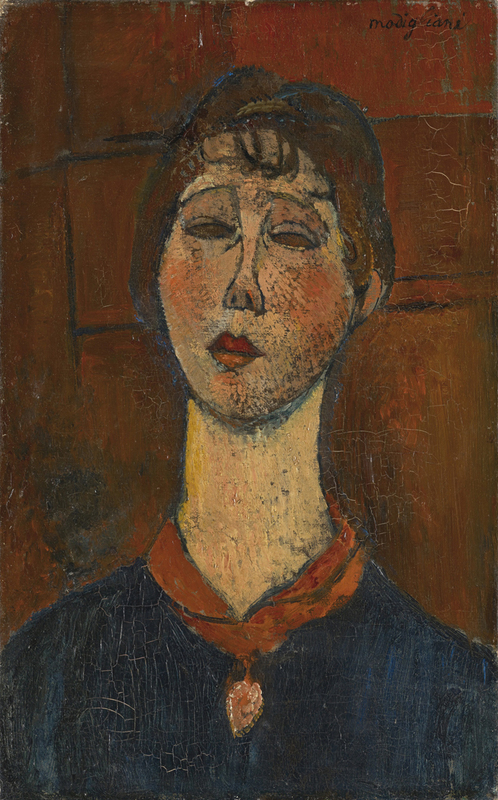 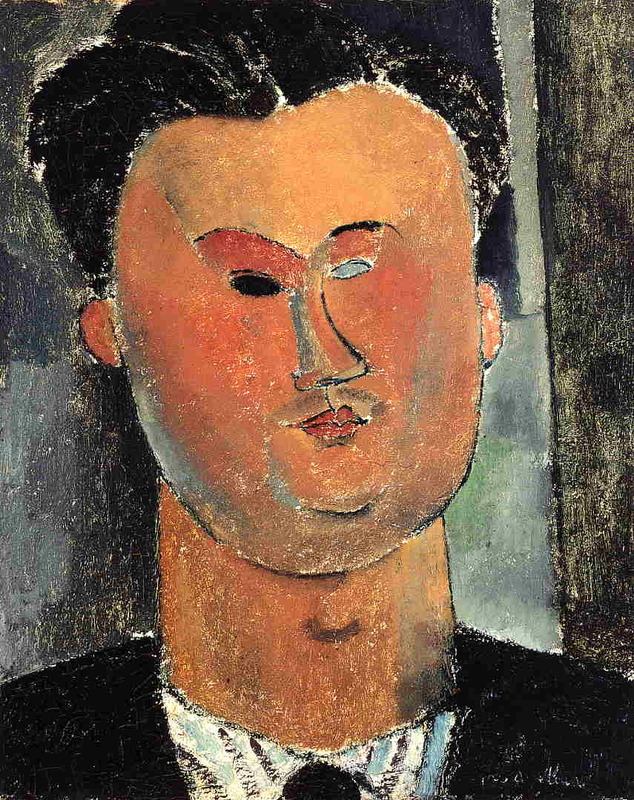 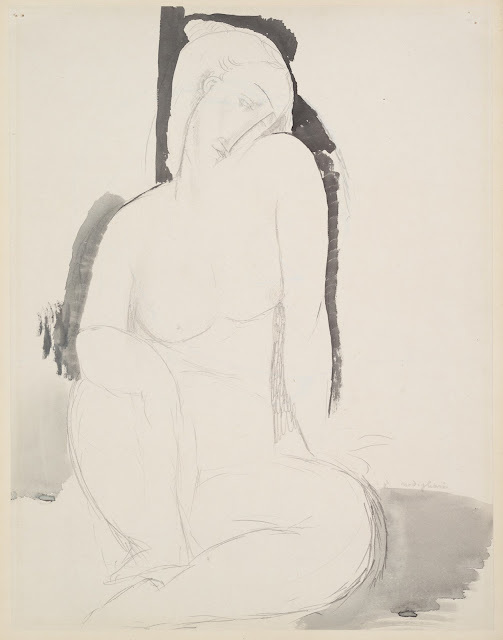 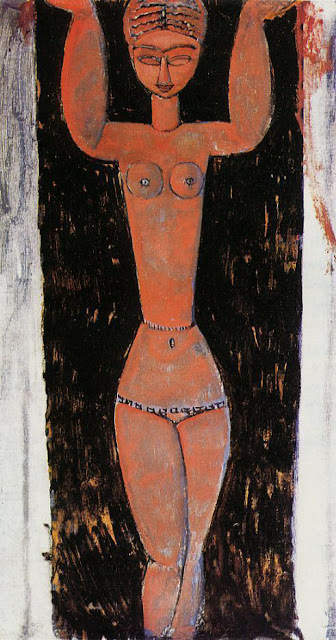 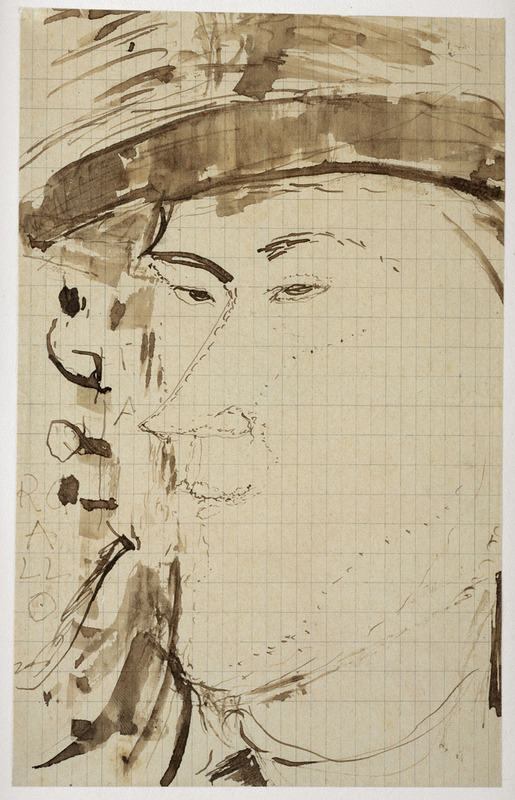 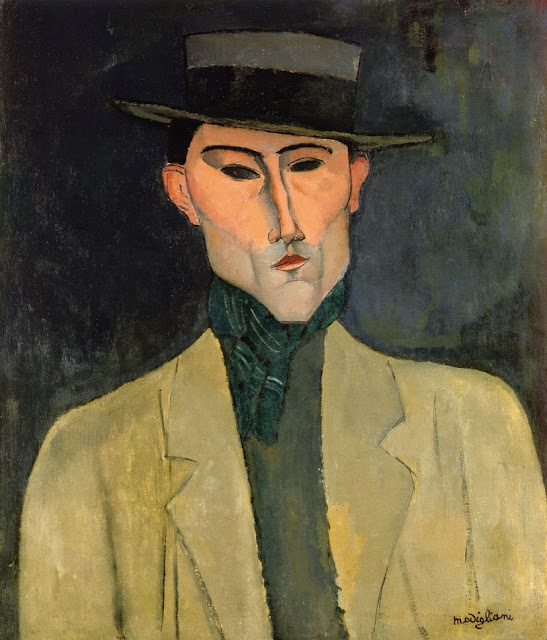 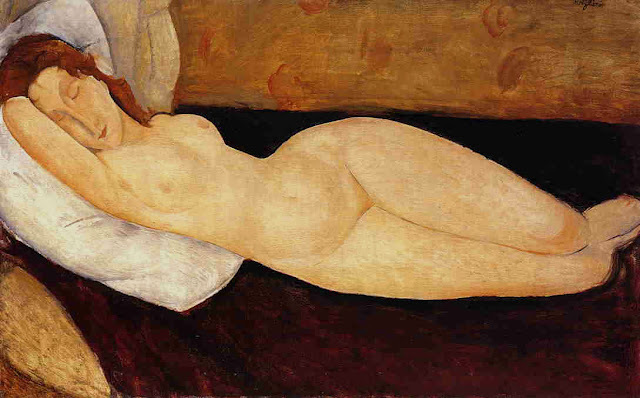 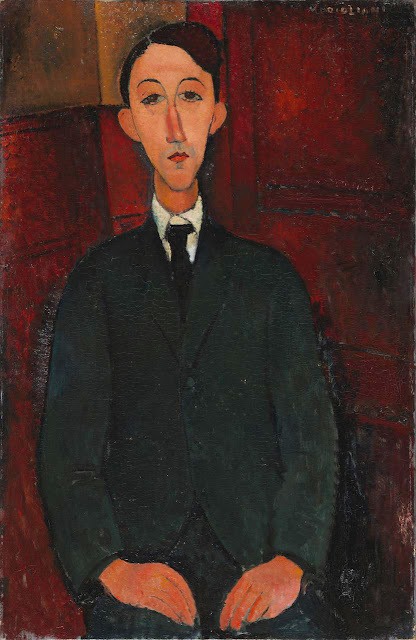 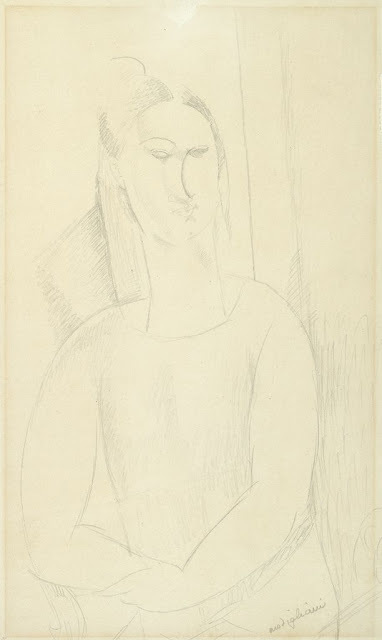 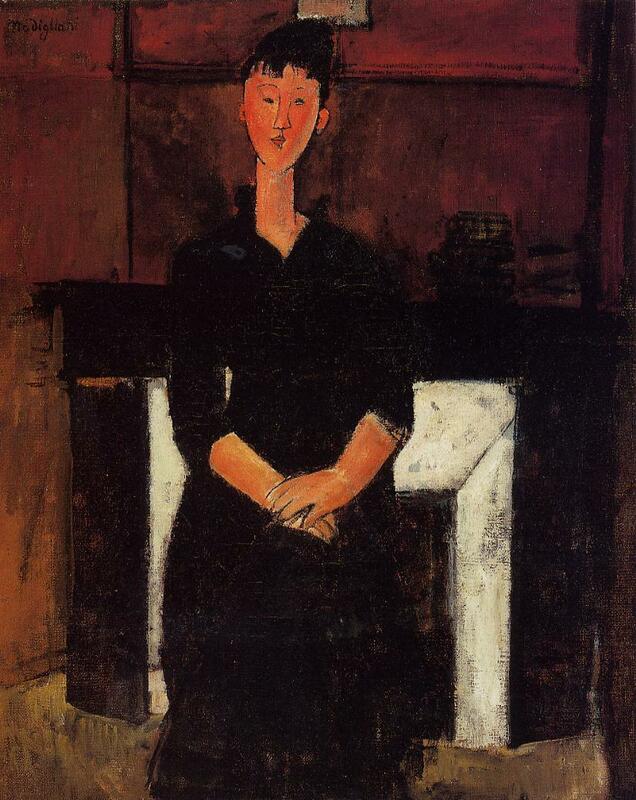 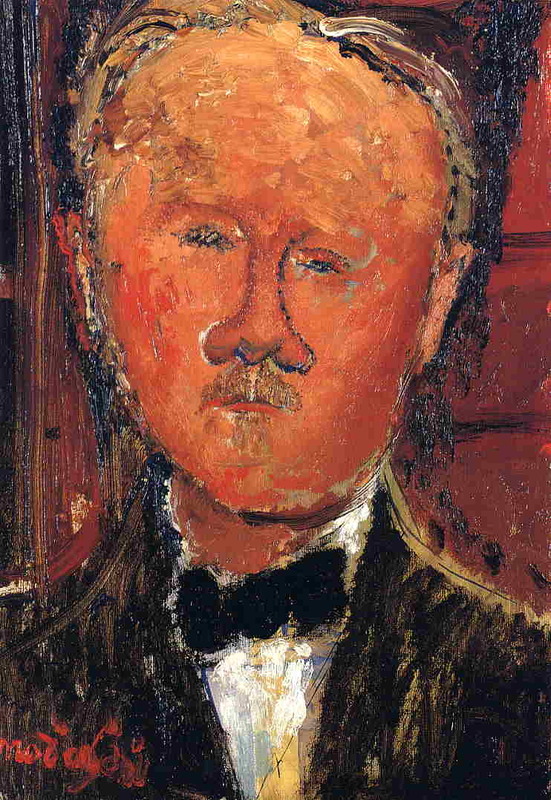 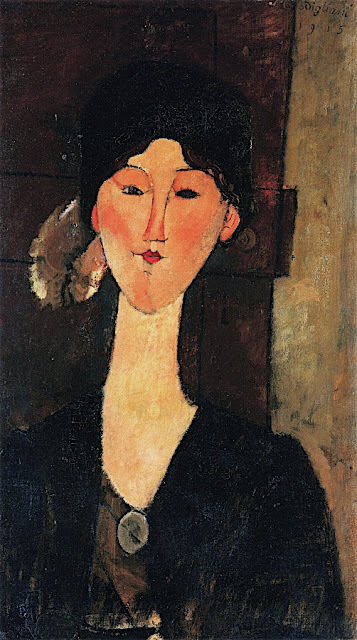 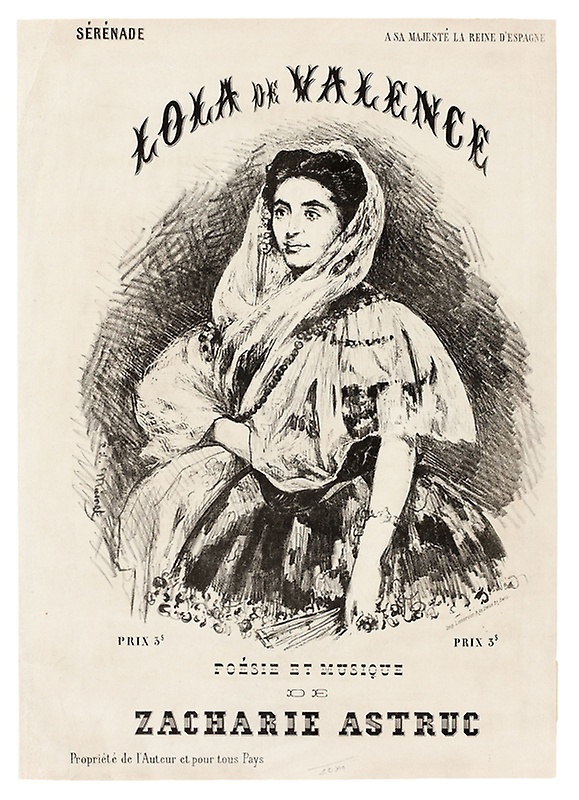 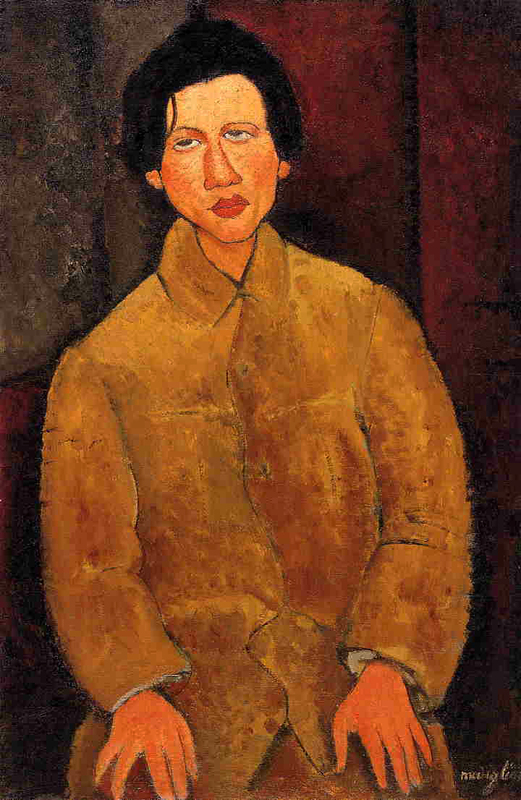 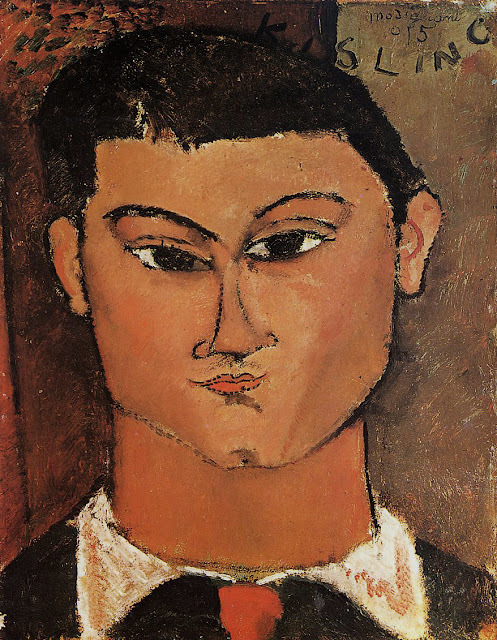 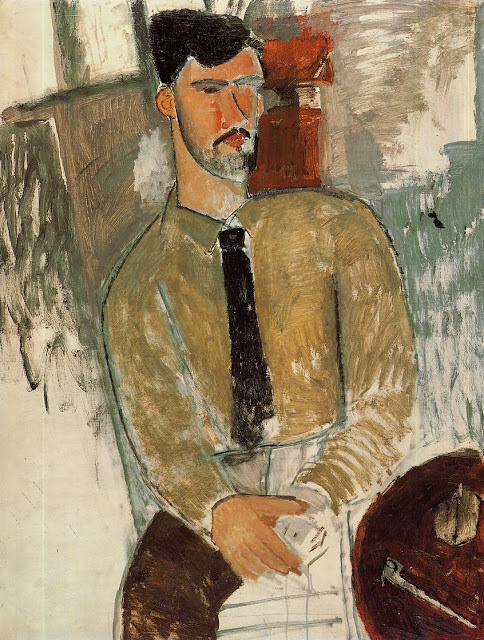 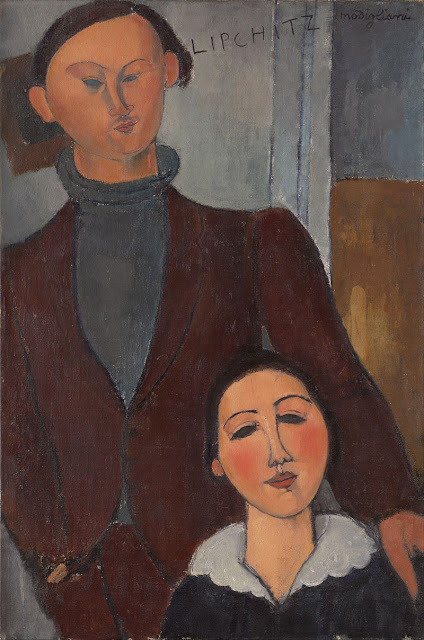 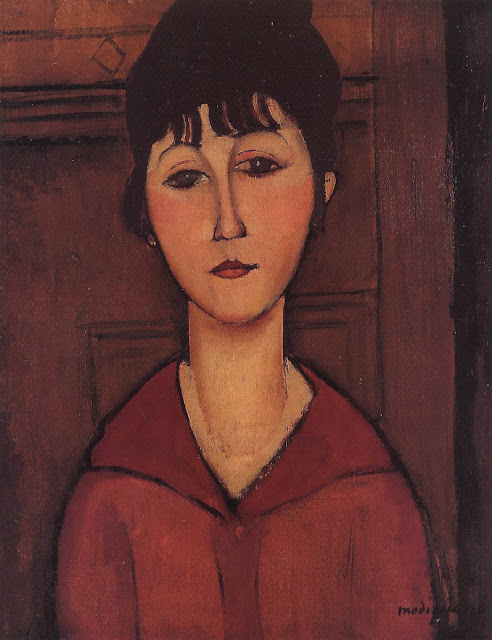 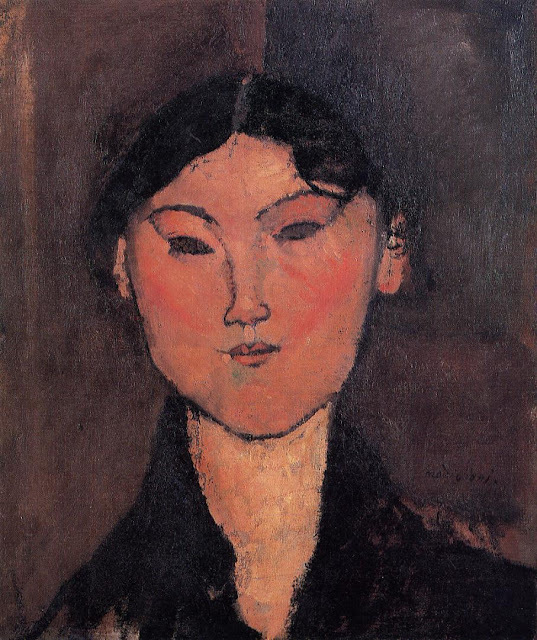 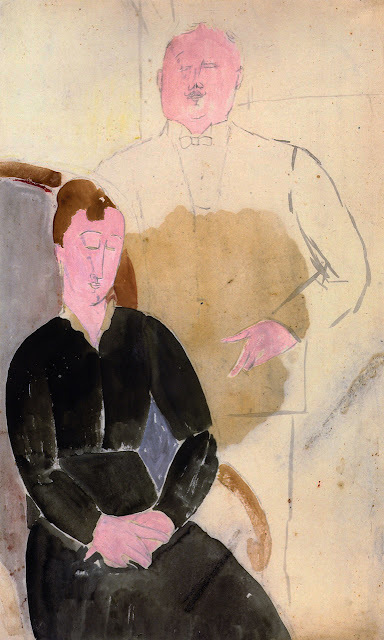 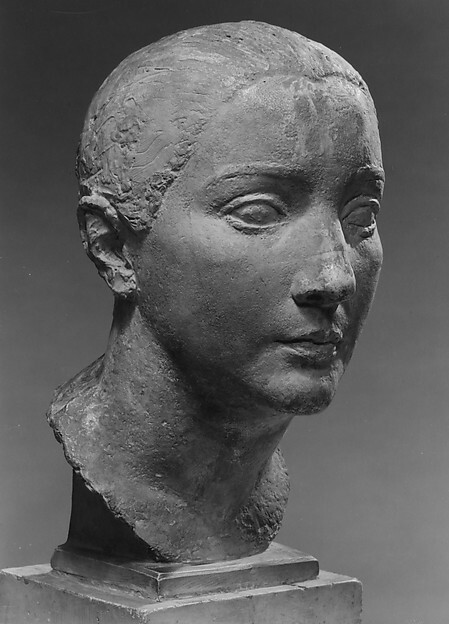 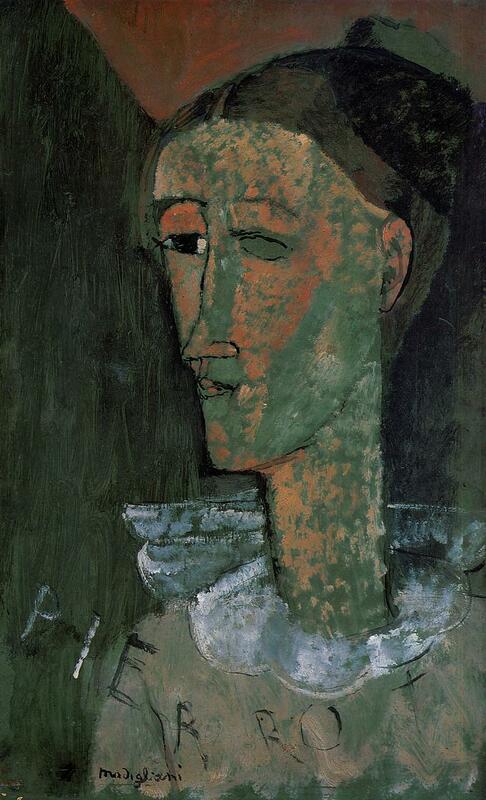 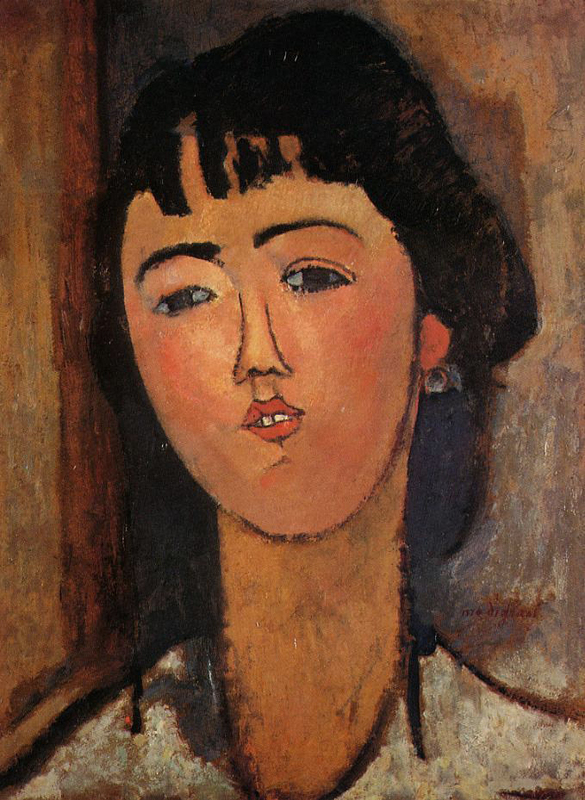 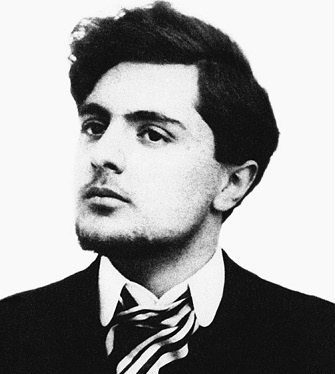 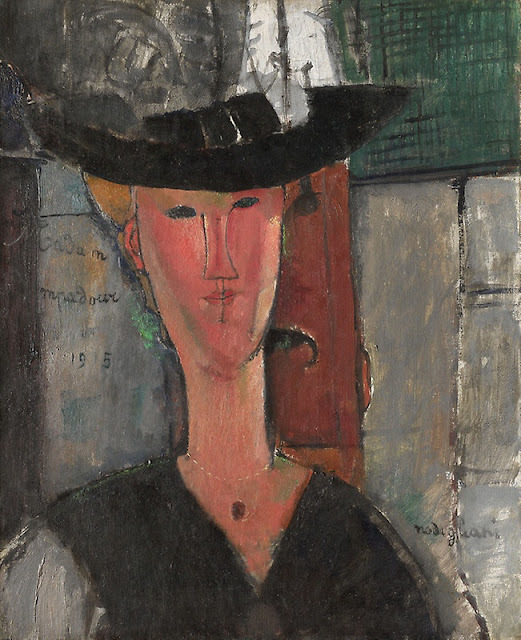 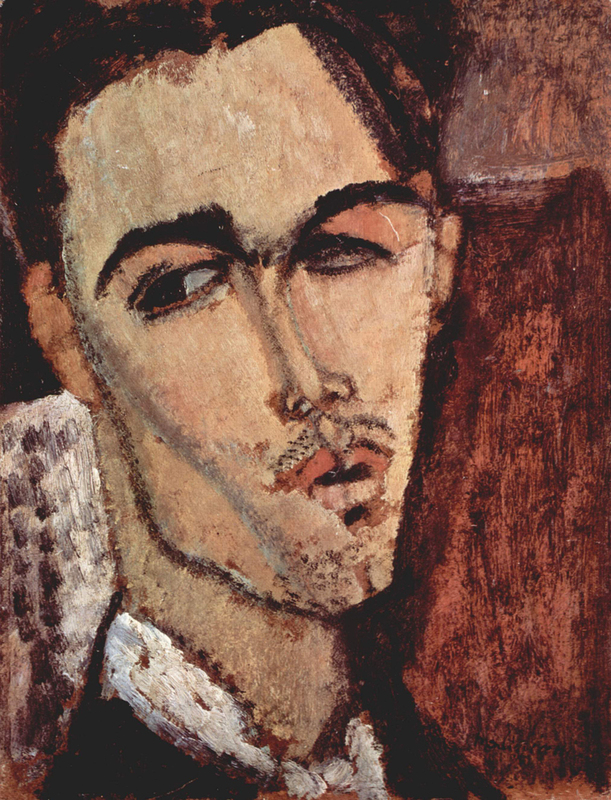 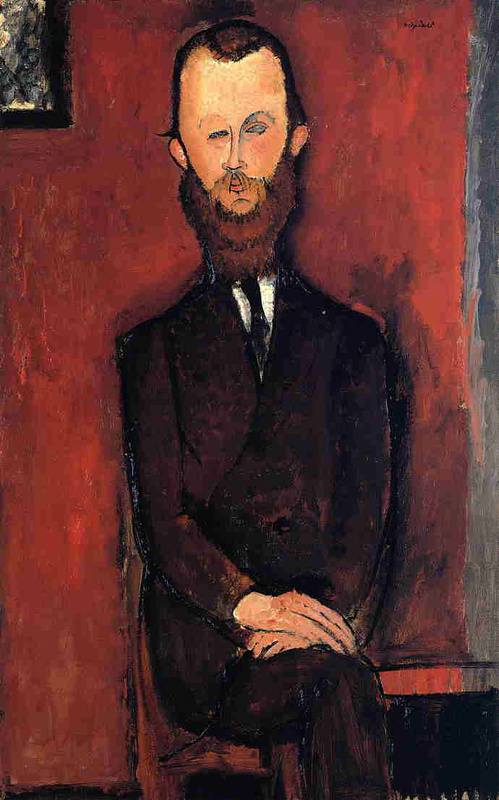 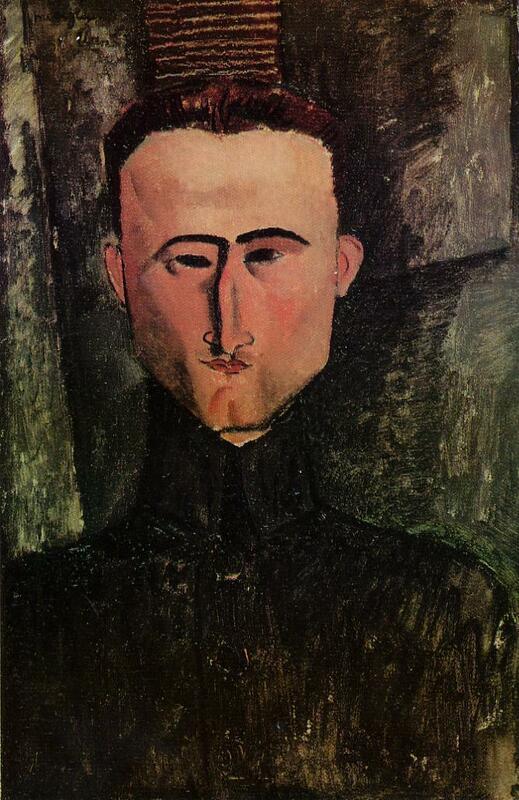 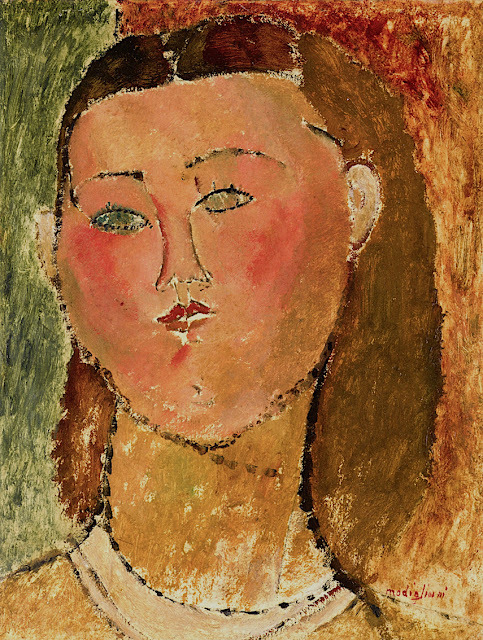 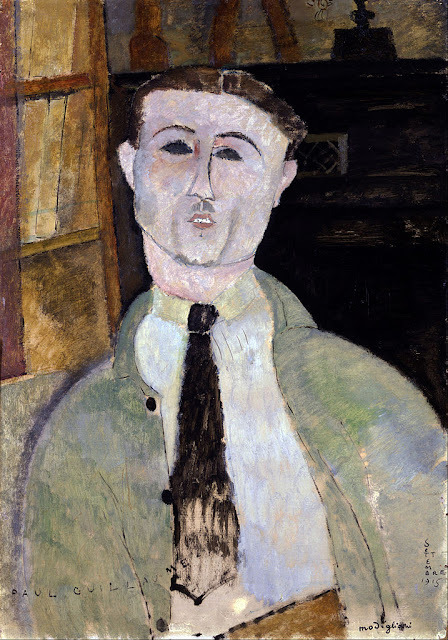 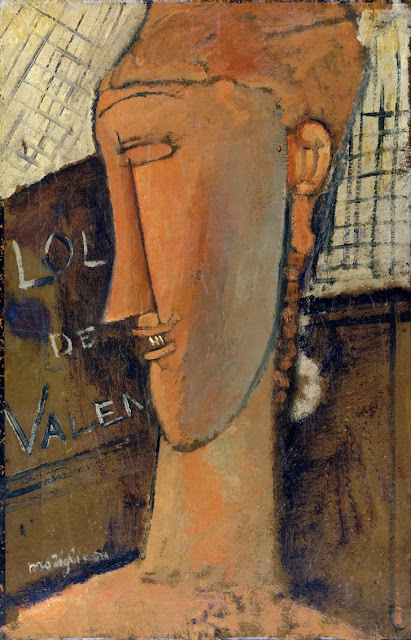 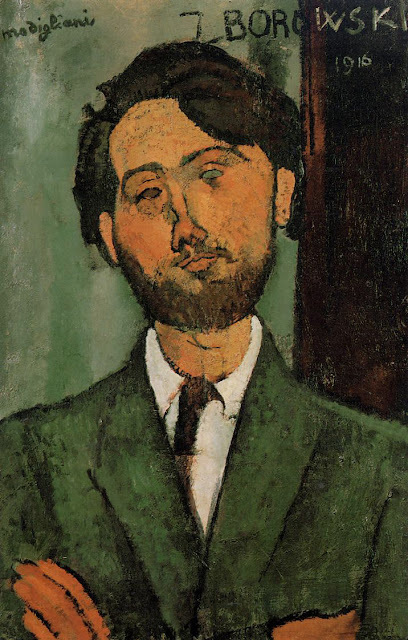 For more biographical notes on Modigliani, and for earlier works, see part 1 also. 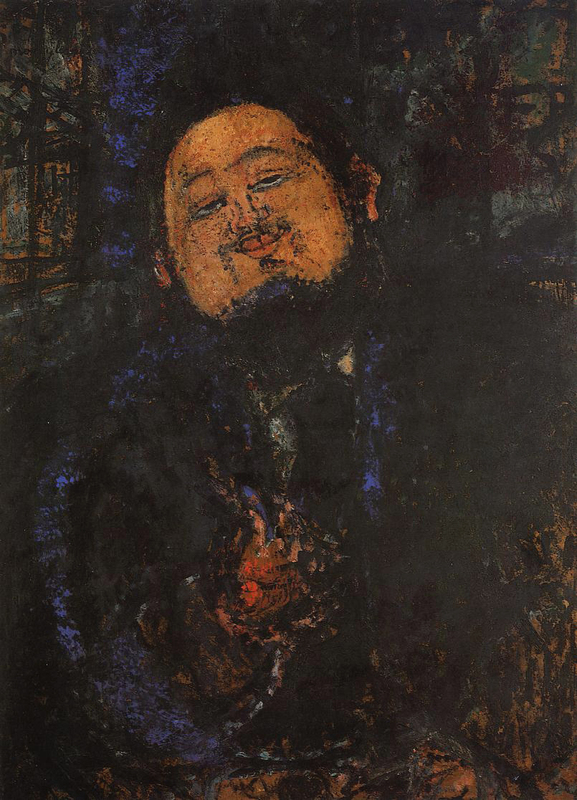 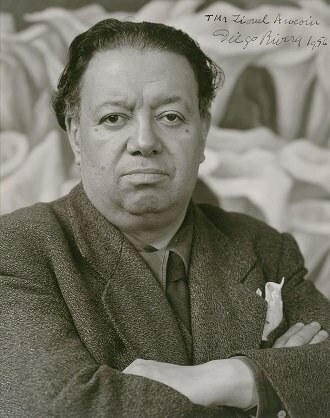 Diego María de la Concepción Juan Nepomuceno Estanislao de la Rivera y Barrientos Acosta y Rodríguez, known as Diego Rivera (1886 – 1957) was a prominent Mexican painter. 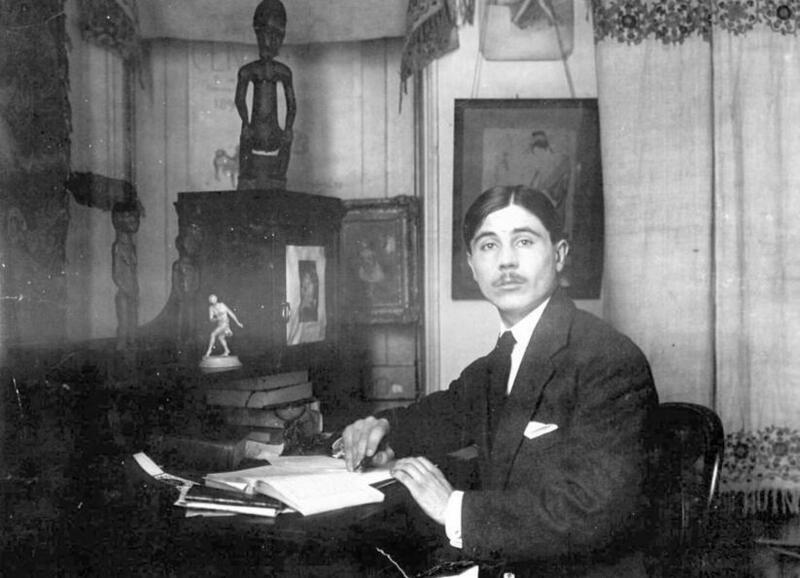 His large frescoes helped establish the Mexican mural movement in Mexican art. 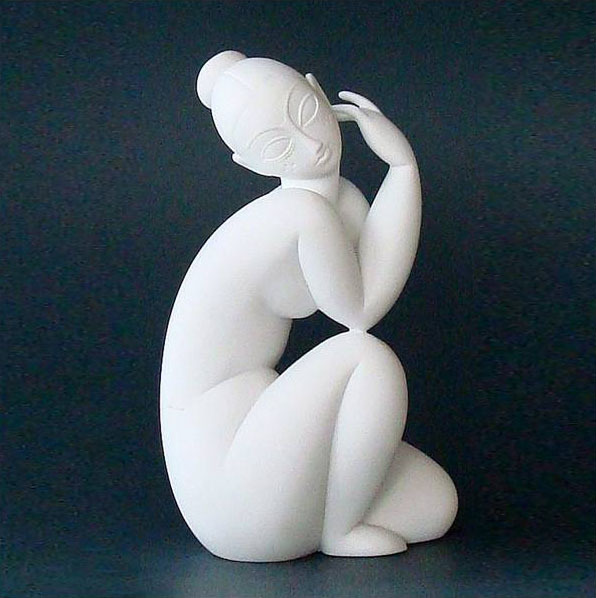 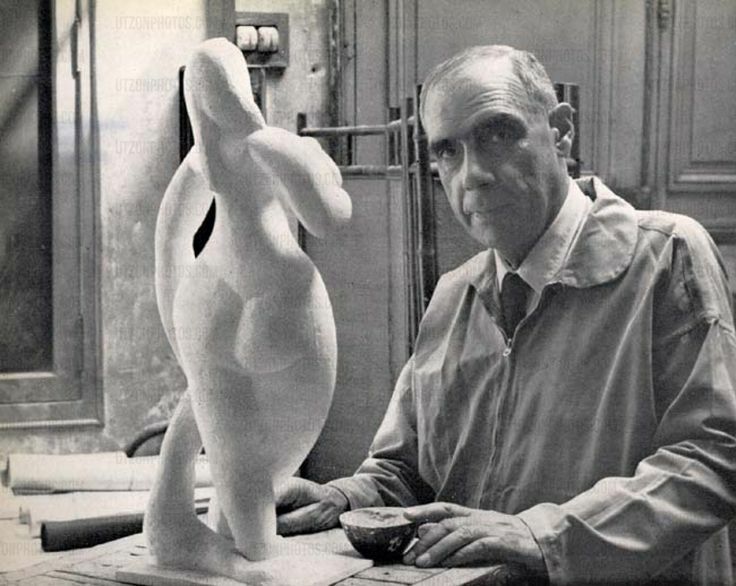 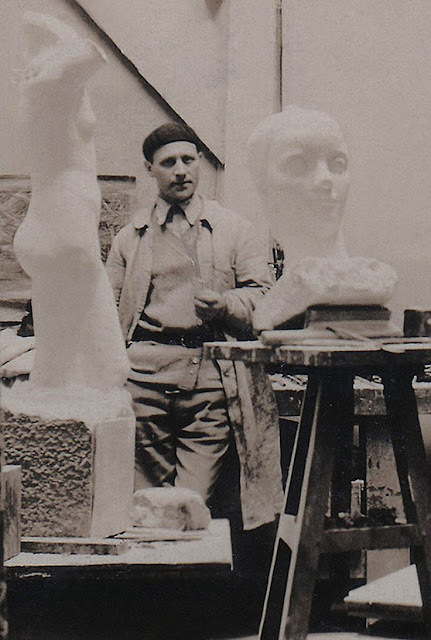 Henri Laurens (1885 – 1954) was a French sculptor and illustrator. 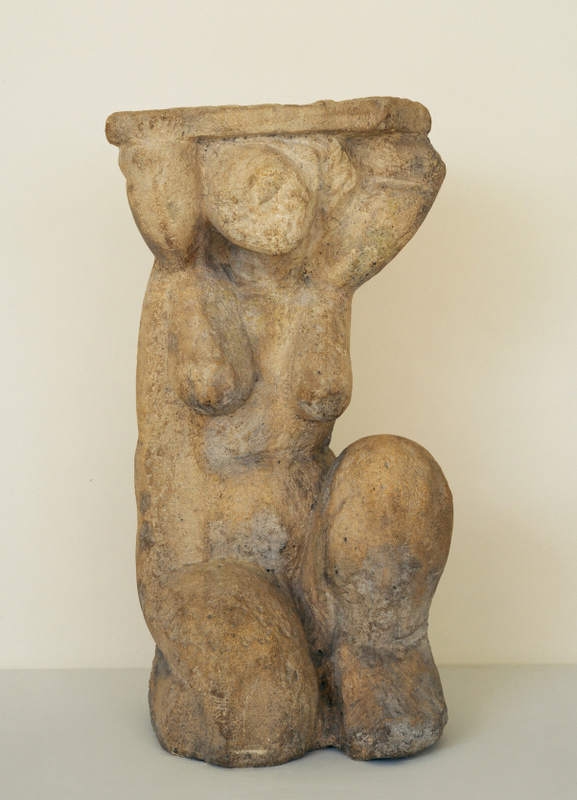 Born in Paris, Henri Laurens worked as a stonemason before he became a sculptor. 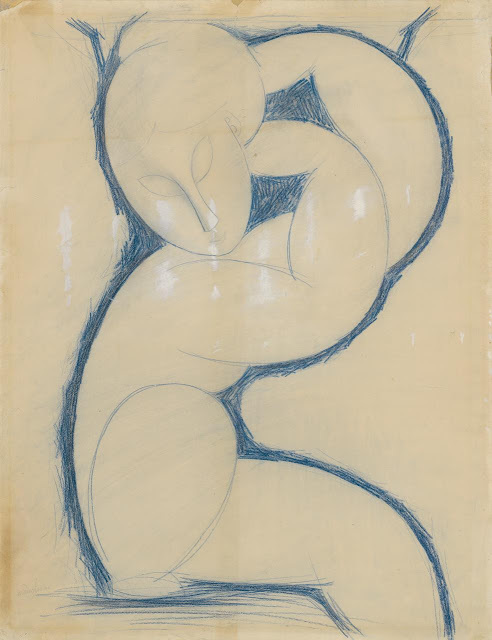 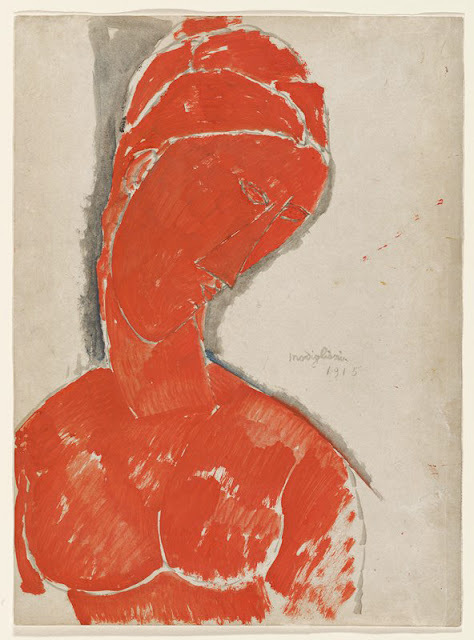 In 1899 he attended drawing classes, during which he produced works that were greatly influenced by the popularity of Auguste Rodin. Juan Gris (1887 – 1927) (José Victoriano González-Pérez) better known as Juan Gris was a Spanish painter and sculptor born in Madrid who lived and worked in France most of his life. 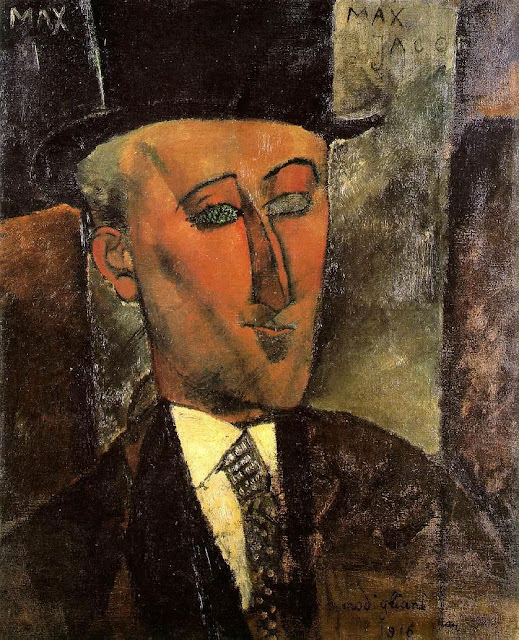 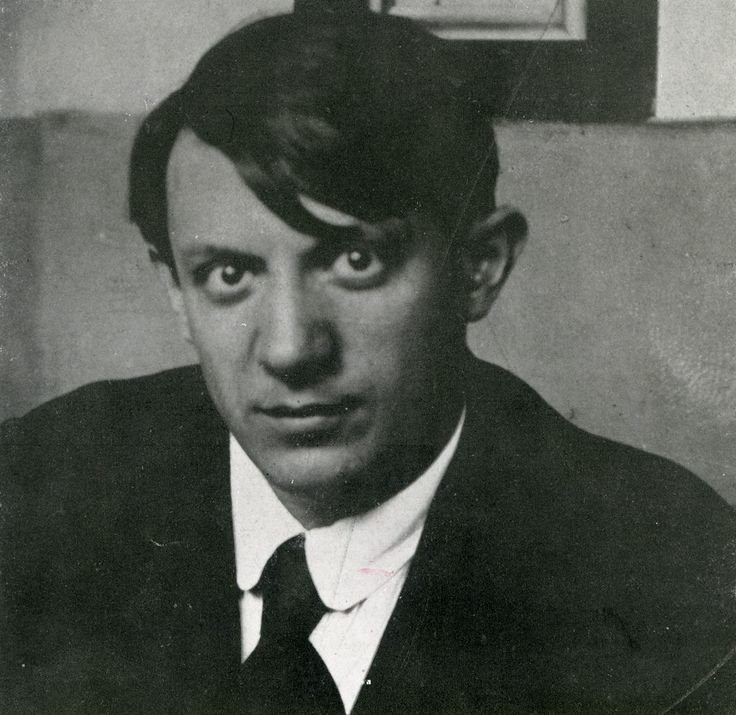 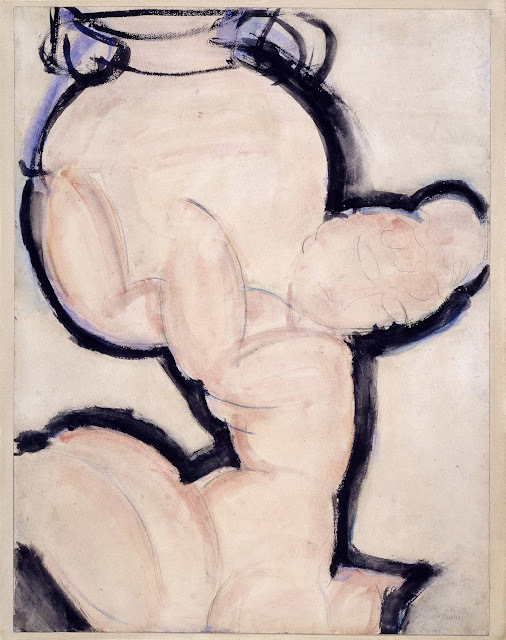 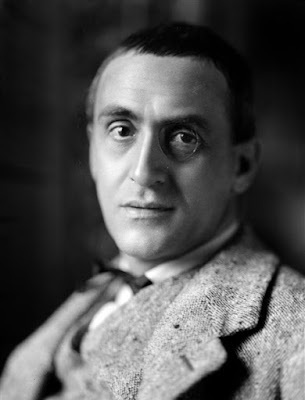 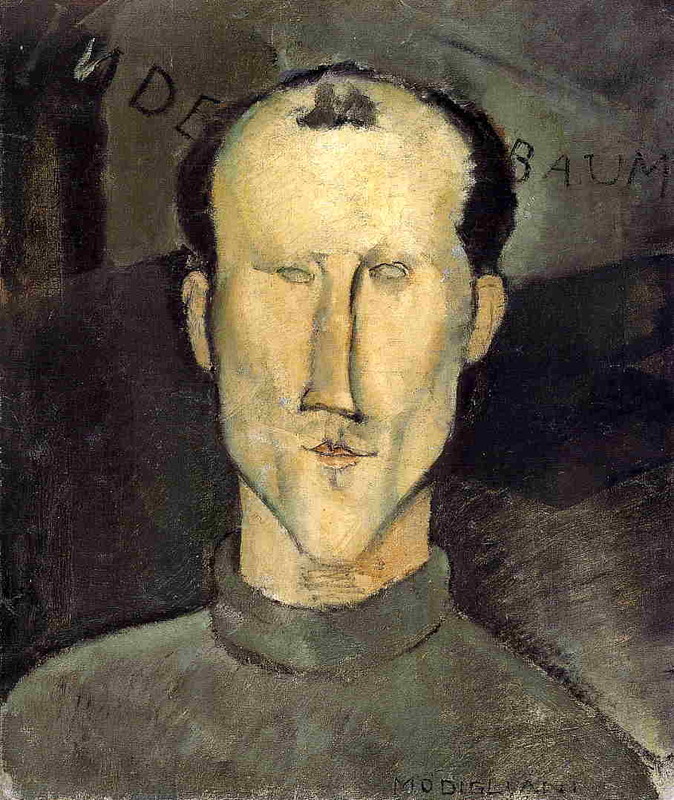 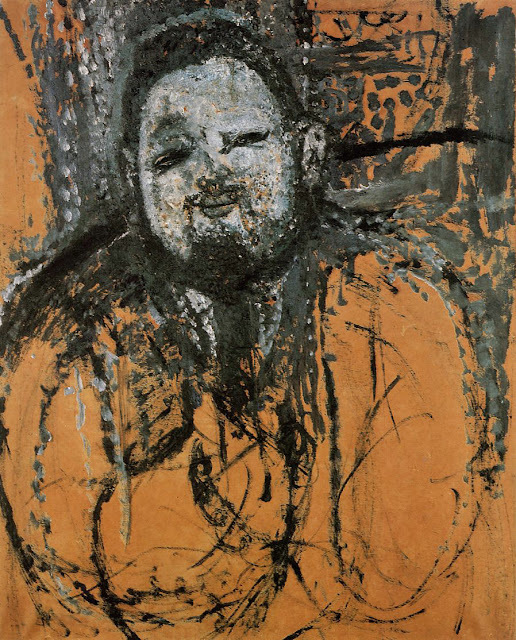 Closely connected to the innovative artistic genre Cubism, his works are among the movement's most distinctive. 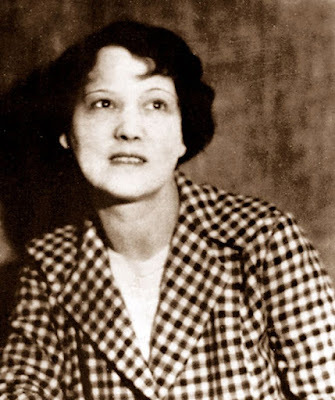 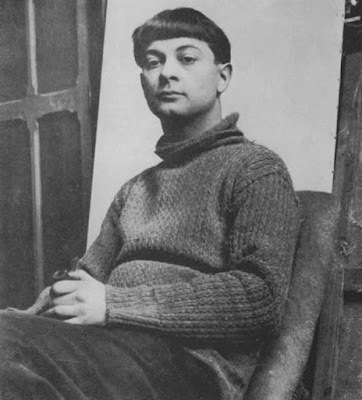 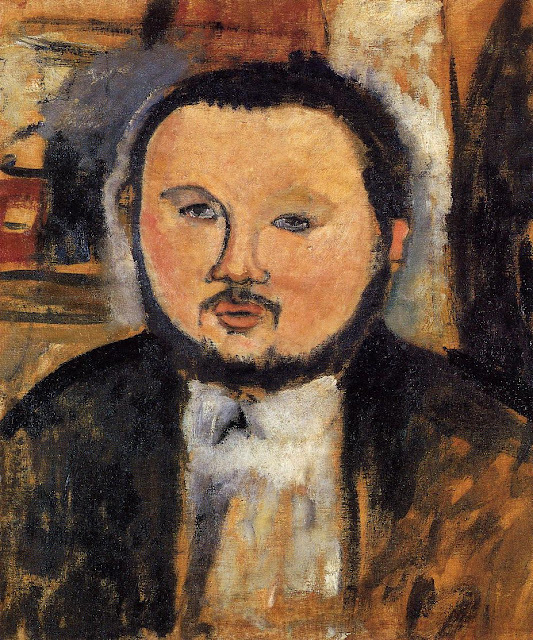 Moïse Kisling, born Mojżesz Kisling (1891 – 1953), was a Polish-born French painter. 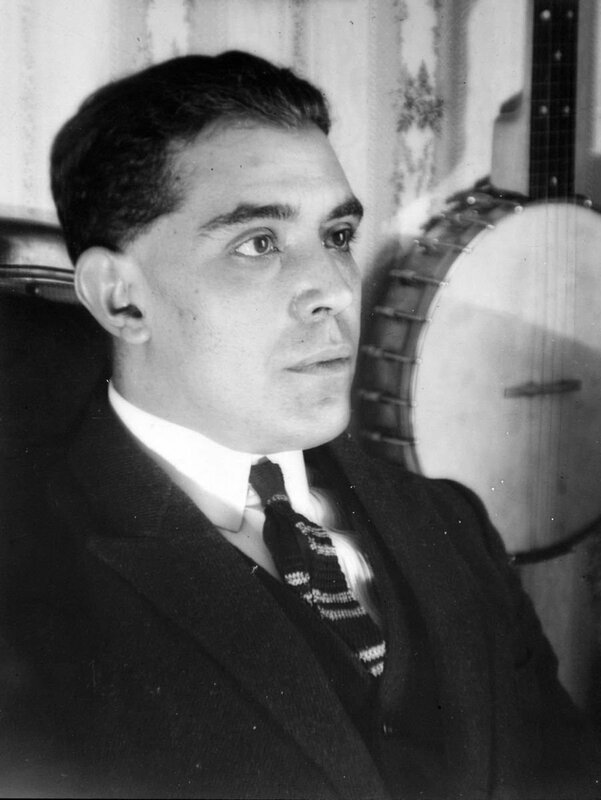 He moved to Paris in 1910 at the age of 19, and became a French citizen in 1915, after serving and being wounded with the French Foreign Legion in World War 1. 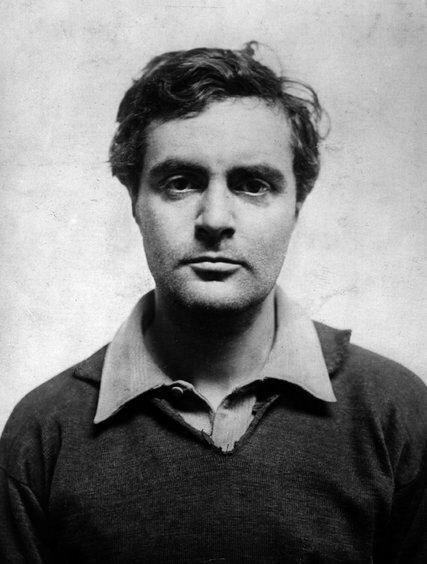 He emigrated to the United States in 1940, after the fall of France, and returned there in 1946.